Do you ever think…there’s got to be a better way? You’ve got the work coming in, perhaps too much to handle. You know you’re spending too long on each job but don’t have the time to find a better way. Hours designing, struggling to get accurate cut lists and plans, problems with assembly. Got a great idea and want to expand into a new market? Perhaps create your own range of off the shelf products. Do you get lots of enquiries for a product but there’s no time to get it ready for production. Or know a friend who is having massive success doing something you know you could do just a well or better…if you had the time. So often it comes back to having the time. First of all, we’ve got the right furniture software. Polyboard allows you to design in minutes, with automatic production of 100% accurate cut lists, plans, drilling placements and CNC output. I’ve just designed the wardrobes for 10 studio flats, all complicated and all with full cut lists and edging, in 90 minutes. That’s 2 minutes per wardrobe. Anyone not using this software really should be. Plus beautifully rendered 3D client presentations at the touch of a button. That’s great, but what if you don’t have the time to learn how to use it and set it up. Polyboard is quick to pick up, but it’s still going to take a bit of time to get it set up just right for your way of working. All the elements you need to get your entire production process up and running fast, accurately and error free. We’re talking reducing design to production times from weeks to days, days to hours, and hours to minutes. We can help you with all of that, or split the work areas with you. With a suite of presentations already in place for your customers, it’s will be much easier to stand out from the competition and get the job. As soon as it’s confirmed, you can get to production literally in minutes. We were approached by the logistics division of a large US based multinational, the world’s leading producer of construction and mining equipment. The project, to design a range of heavy duty packing crates for the world wide transport and distribution of their machinery and parts. To ship large and heavy machine parts worldwide, this company needed to produce 100’s of heavy duty custom sized packing crates on a daily basis. Each crate or series of crates had to be made to specific sizes and standards. 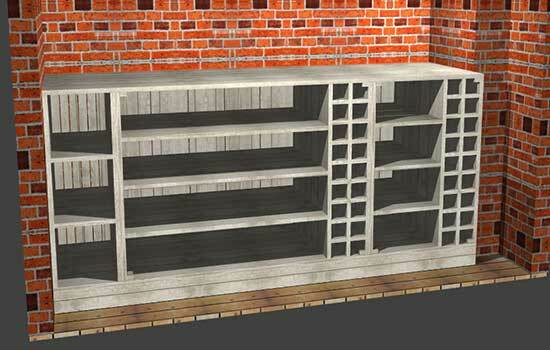 Made from heavy panel and bar material, the crates were designed by manually drafting each model and creating a cutting list in an Excel spreadsheet. The cutting list was sent to the workshop to be cut on a manual circular saw. They had already decided to invest in a HolzHer CNC saw with it’s own cutting optimisation program when they contacted us to find a better way to automate and improve the design process using Polyboard. Our analysis of the initial production process showed that the manual process of drafting and making a cutting list in a spreadsheet was time consuming and error prone. It also showed that although all crates were made to measure, 99% of the crates produced could be reduced to around 40 basic construction types. To gain maximum automation, using Polyboard Pro PP we set up a specific set of models and manufacturing methods. 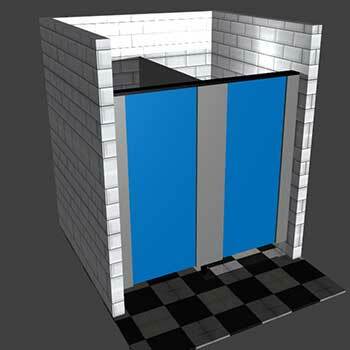 Starting from a set of 40 basic construction models built from a library of parametric pre-prepared panels Polyboard was set up to create a fully automatic system for building standard crates. Here’s an example of the type of crate that can be generated with the system. The crate construction included both heavy sheet and bar materials of varying sizes and thicknesses. The Polyboard based system automatically generated the cutting lists for both types of material. The cutting lists were exported to a spreadsheet for stock management and directly to the CNC saw for optimisation and cutting. Because of the full automation of this custom Polyboard system, training of the users was very fast and reduced to an hour’s internet training on TeamViewer. Our team were more than happy with Polyboard, but on top of that what we really appreciated was being able to commission a series of custom units to meet our exact requirements. Along with the training we received, this was a very effective way to get to the manufacturing stage as quickly and efficiently as possible. 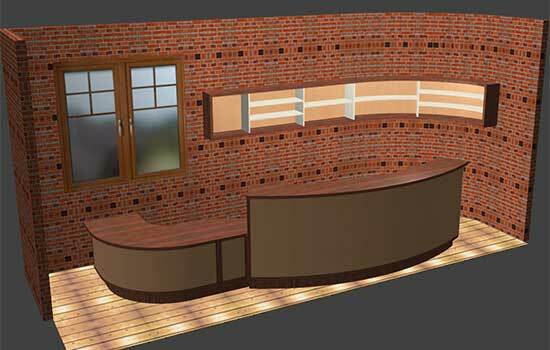 Do you want to start a shop and office fittings business? 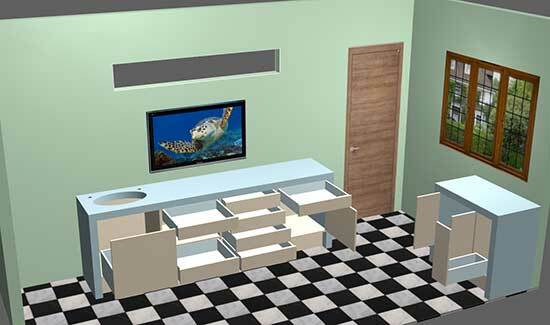 Ready to go designs for basins, clinical work surfaces and specialist storage units and reception areas. If you offer joinery services, sell the doors and windows shown in your project presentations too! 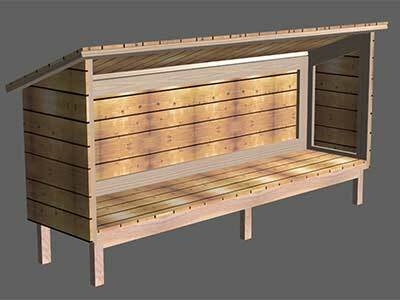 We’ll set up all your products inside our Polyboard furniture software for you. If a custom job comes in, it will take you seconds to resize and output new and 100% accurate cutting lists and plans. Here’s a niche sector for you. Let us help you set up all your hardware, panel materials and edging so you can manufacture bespoke units in minutes. Polyboard has huge flexibility. 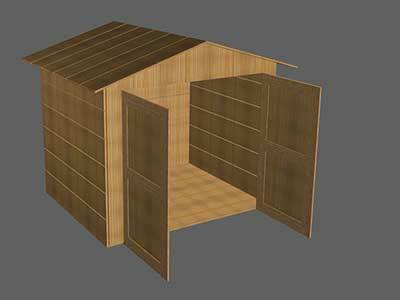 Set up your own garden shed business if you haven’t already! Do you want to completely nail the market you’re in? Or get into a new market where demand is high? This software is very good and really important if you want the furniture of your kind and according to your need. I am definitely going to download this software. Thank you for this article!!! 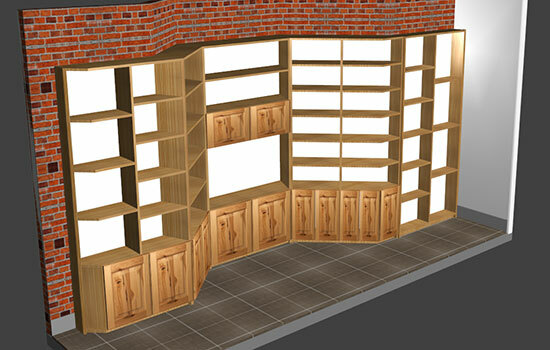 Please look at Wood Designer website to get more information and eventually buy a copy of our software.